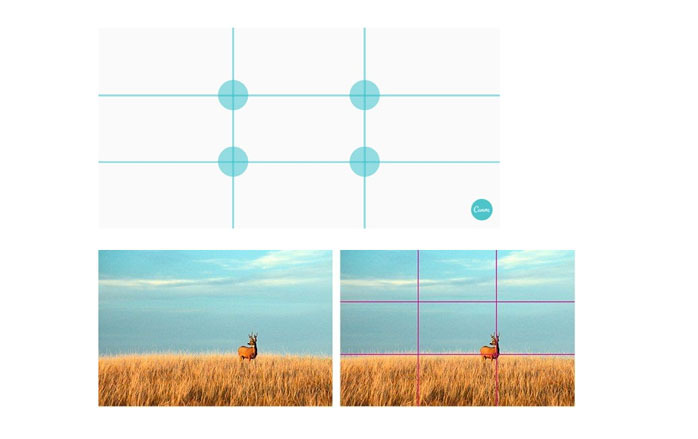 In the graphic designer’s “toolbox”, the grid is considered one of the basic basic elements. 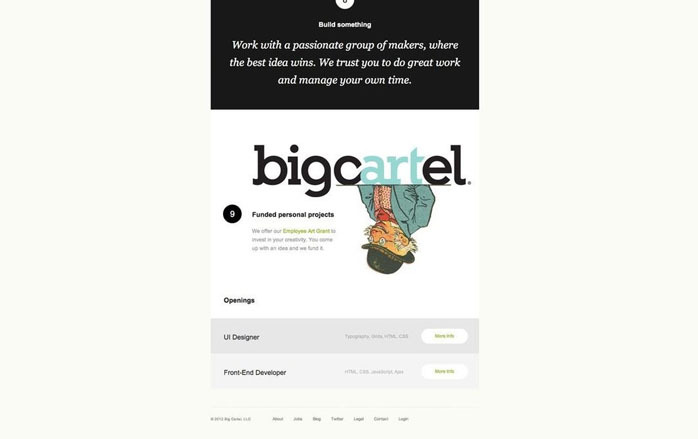 Why is this and why is there some grid lines in your layout that are so important for design projects? 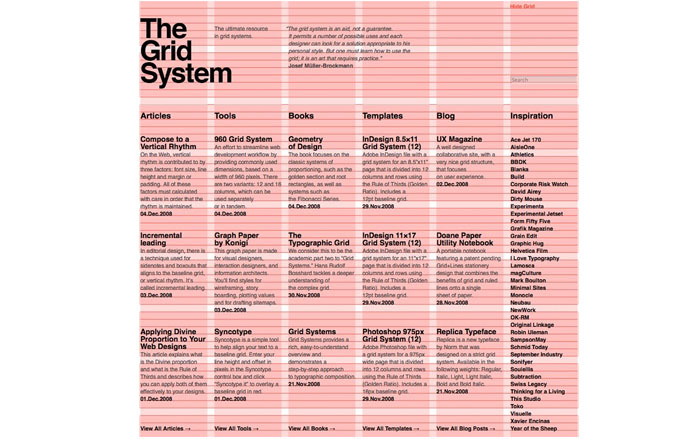 Each designer has his own reason to explain why the grid is important to them, but simply, they can Helping you to be a very difficult, time consuming and cumbersome graphic information design problem, through the grid structure, so that your design is orderly, neat, easy to navigate and other functions. So, if you’re going to delve into the world of grid design, let’s discuss 15 reasons why you can significantly improve your design by simply adding a grid to your design. 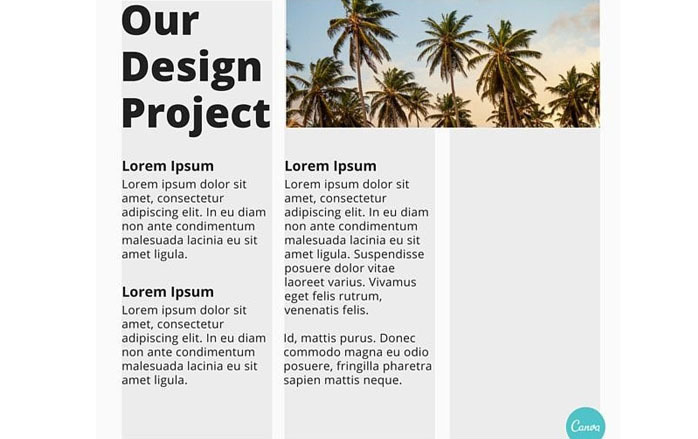 One of the main uses of the grid is to keep the design elements aligned and sorted, and to make your page design neat and tidy. This is because meshes facilitate alignment, which is actually the most important role they play in the design. By creating a grid system, you can create a structure for yourself to align elements so that you can create a neat, neat, and organized layout for yourself. 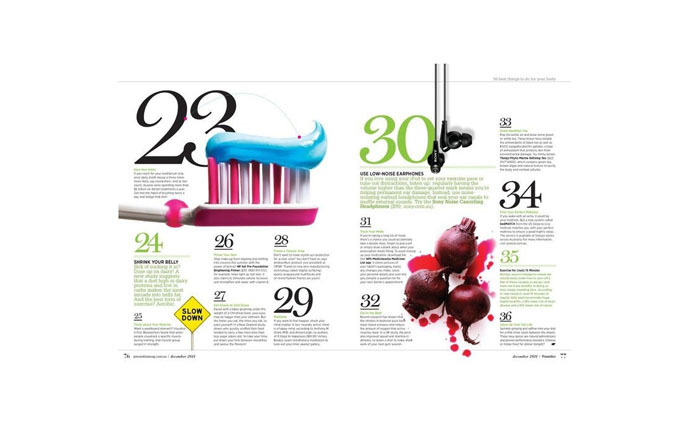 For example, look at this grid-based layout and how to arrange each element neatly to create a clean final effect. When using the grid, find a mesh that you can imagine aligning the elements, your text, images, graphics, or any other element. Start with what you want to achieve and then build your grid. In a world where we always hope to accomplish tasks faster and better, the word “enhanced efficiency” is like music for many people, so this sounds like a symphony. 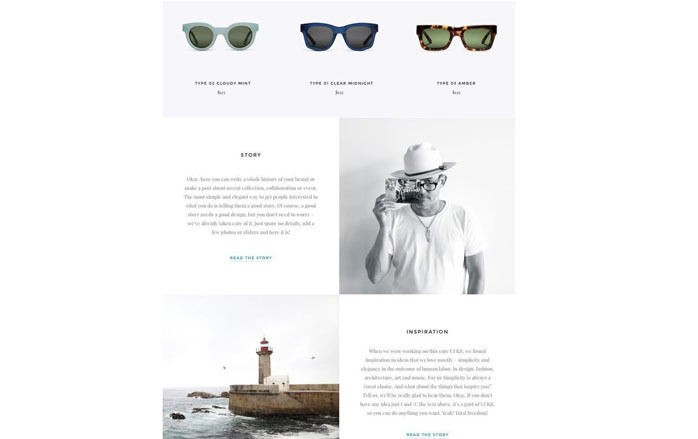 Grids can greatly speed up and improve your design time, because they can be used as a guide, where to place is the best position and scale elements. The grid should help guide you to find a natural solution instead of randomly positioning the elements until you find a nice composition. Think of your grid as the foundation of the house. It is one of the first questions you have to consider for design. Then you use this foundation to create the layout. 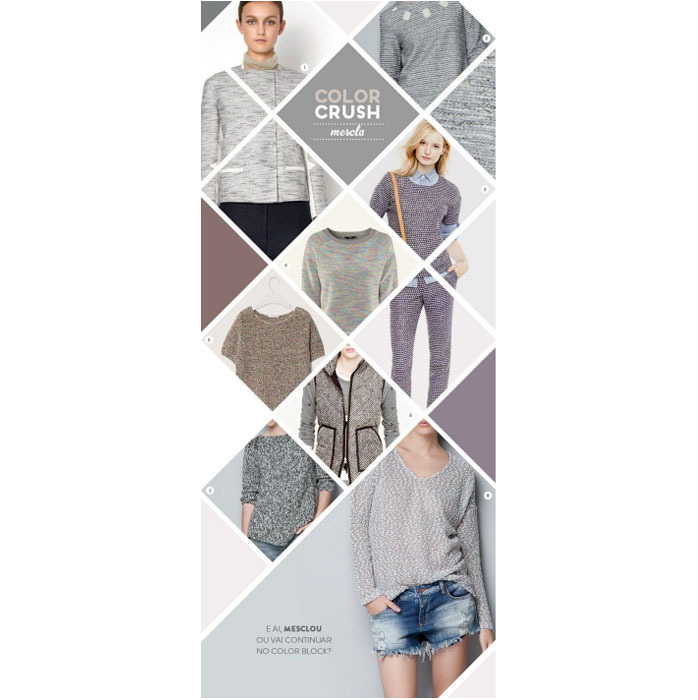 If there is no other thing, grid and text are two very happy design elements that follow. A powerful grid can be used to make text-rich layouts look cleaner and more organized, and to help enhance the readability of text copies. 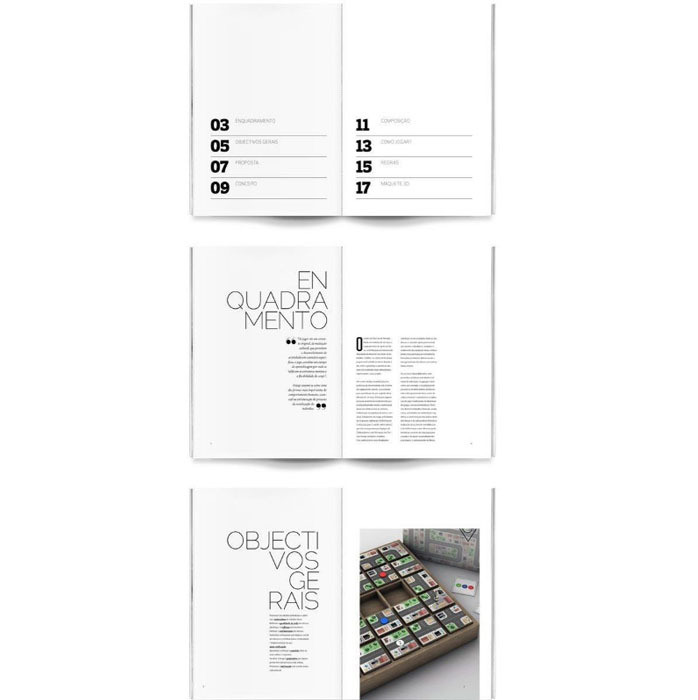 The grid helps to improve the legibility of the text, this is achieved through the so-called “baseline grid”, they are narrow transverse lines, in the design of each of your lines in your design, a bit like a notebook The rules on the line. 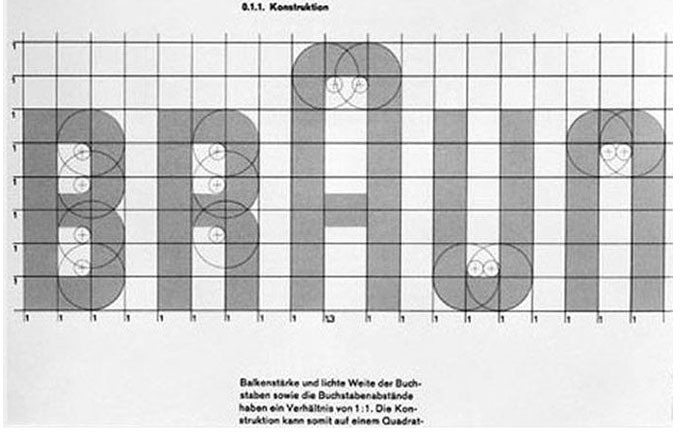 These grid lines help you to adjust the position of the text so that they are on the same level. 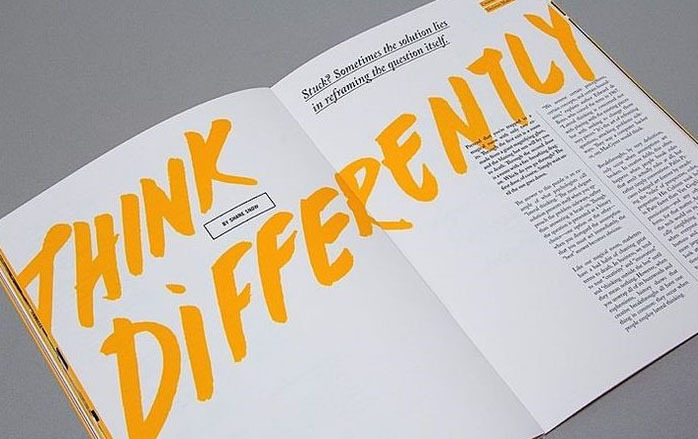 Otherwise, although many people may not pay special attention to whether your text is aligned, they will subconsciously notice that your design looks more messy. 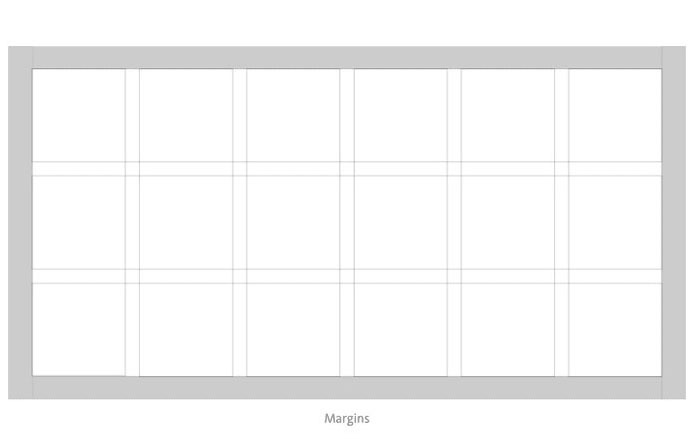 Here is an example of a baseline grid. Notice how each line is perfectly aligned, thereby creating a neat and clean typographic effect. Have you ever worked with other designers? If so, the grid may be the answer to some of the stress and frustration that eases communication. As mentioned earlier, grids in many ways help you provide an underlying structure for your design and provide a wizard to determine which elements should be placed. So if your design has a solid mesh and a new designer joins in, they will (hopefully) see how you set it up and how you plan to position the element. 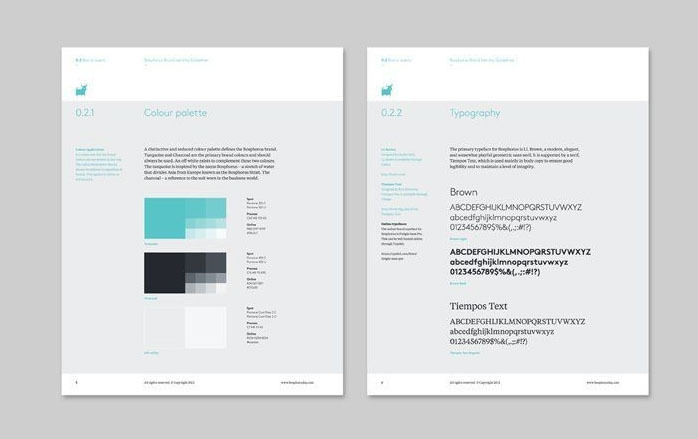 For example, if you design a design that looks like the following, you need another designer to add the document, and then place the third paragraph. Because of the grid system, the chances of them not being able to align and align correctly are even smaller. In addition, regarding information such as “how wide the column should be”, where should I put it in the previous column of text? Because all the answers have been answered by the grid. 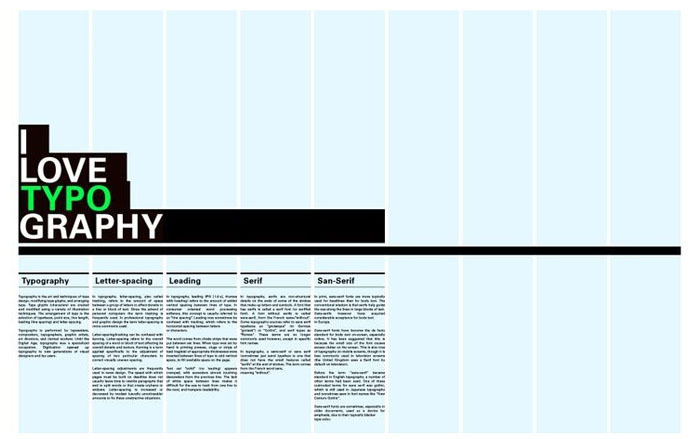 When working with other designers, create a self-explaining grid system that fits your final product. The beauty of grids is that they are consistent. When you divide a design into a number of columns, you start with a symmetrical layout. From here on, judging which aspects of your design should be easier to overwhelm the other. Check out the website design below and how to avoid unbalanced layouts by using sharp symmetrical meshes and evenly sized information and images. Again, this design uses three columns of grids and focused graphs to maintain the symmetry and perfect balance of the design. Even if the design is quite powerful, it can easily be considered overwhelming because of neatly arranged and perfectly balanced grids that keep its design cool, not chaotic. 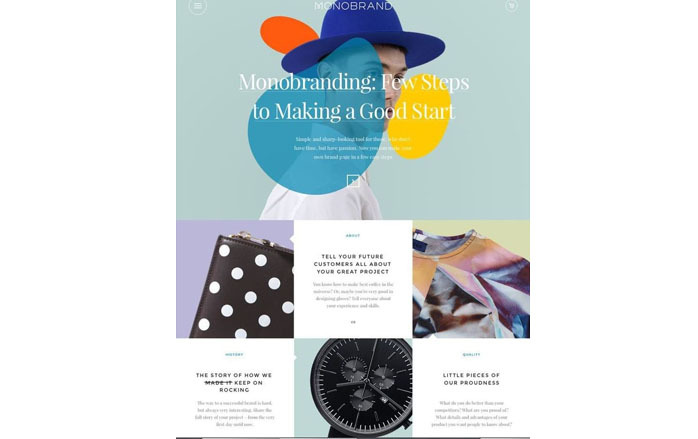 Grids are a desirable part of a multi-page layout. By creating a powerful grid for your layout, this grid will move from page to page, making it easier for you to maintain cohesion in your overall layout. Think of a site like Rolling Stones, which has many different pages, each with different structure and content. 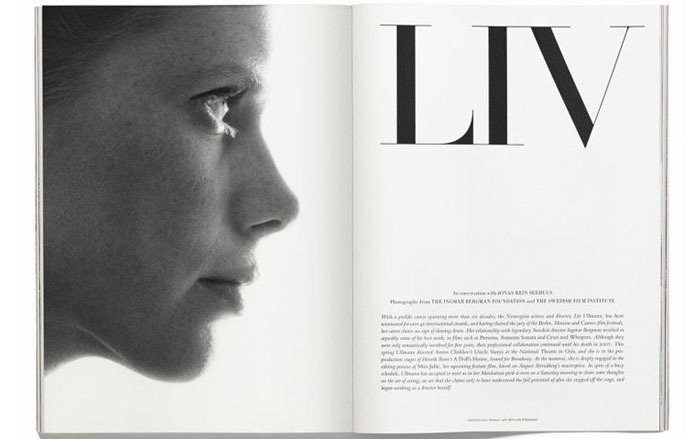 How can each page be displayed in the best possible way while always maintaining a coherent layout? 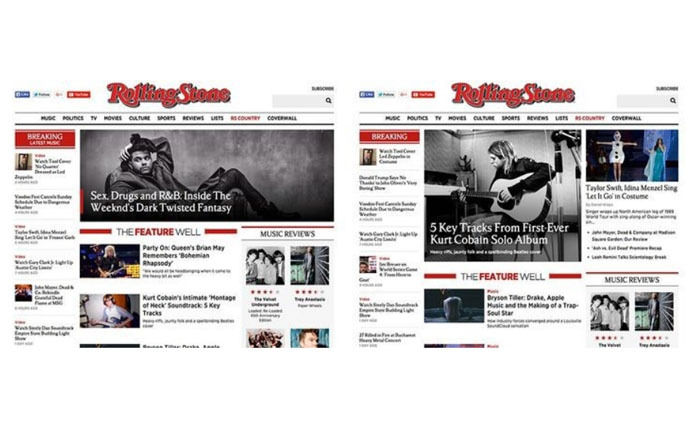 Take a look at the picture below and compare the Rolling Stones’ music page with their home page. By using a four-column grid structure in the website design, each page looks cohesive, clean, and familiar. 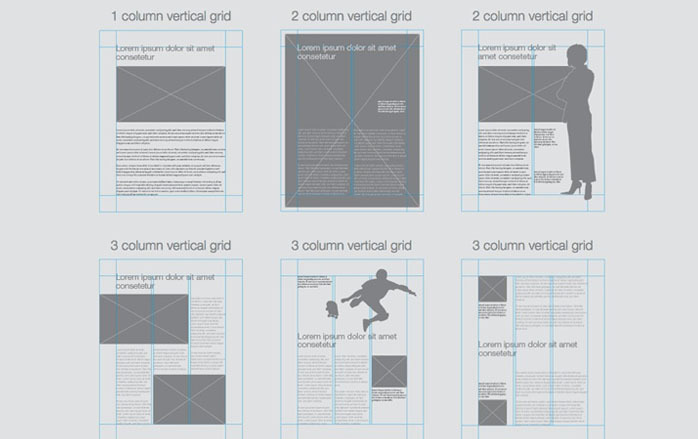 In a multi-page layout, a common use of the grid is manual design, such as a sample design guide. Since these are manuals for educational purposes, they should be linearly designed, so this means using a grid system! 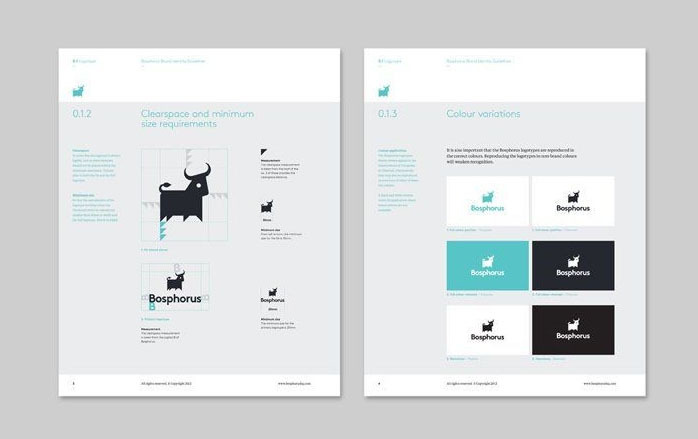 The following is a Bosporus style guide and notes its consistent use on the grid. A common assumption based on grid design is that the use of a grid means that each element of the design is divided into equal-sized blocks that are almost completely covered. We all know the importance of the hierarchy for design (if you don’t do this, be sure to explain why each design should have at least three levels of hierarchy by the reasons listed below), and the grid can help you to speed up the hierarchy Structure the process and make it easier. First of all, let’s take a look at web design. 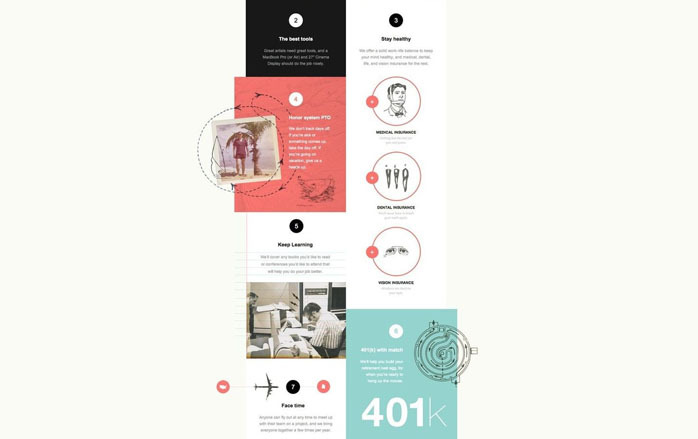 A powerful four-column grid is used in the design of the website to convey the hierarchy by arranging more important images across multiple columns or rows. 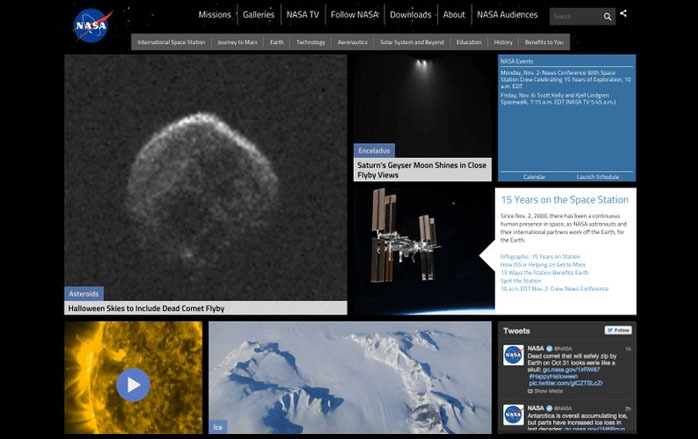 Please note that the lead story “The Halloween Sky Including Dead Stars Fly Over” spans two columns and two rows, making it the most compelling part of website design. Other important stories have also been launched in various sections and have also attracted people’s attention. By using grids to provide the basis for your design, you can attract attention to certain elements by extending them to multiple columns. The following example draws attention to points 23 and 30 by using scale and grid alignment. The grid is a fantastic tool to get rid of terrible, chaotic effect designs, especially this is not what you want, do this by using margins. According to a very basic definition, the margin is the space around the design. In general, the smaller your margins are, the more nervous and messy your design looks, and the larger your margins are, the cleaner and cleaner your design will be. Take a look at the chart below, with the edges marked in dark gray. Therefore, by using a grid, you will usually use margins, which will help keep your design more open and clean. 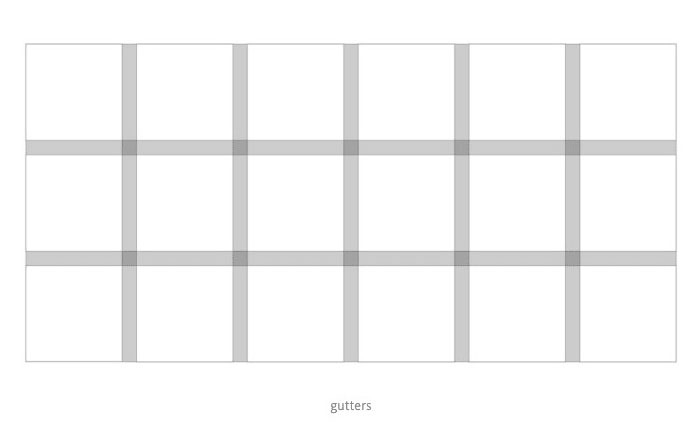 Another way of using grids helps to avoid confusion by encouraging the use of spaces between grids and columns. Because these are all adjustable, they should be consistent in size to maintain the functionality of the grid. Let’s take a look at the design using these two grid functions to get effective results. There are several ways to make your design more enjoyable. One of the most common (and easiest to use) methods is the “triad rule.” You may have heard of this rule and photography, but the basis of this theory is that by dividing your design into a series of even horizontal and vertical lines, regardless of whether those lines intersect (marked with a circle below), they are considered to be Focus, set your design elements in focus. As mentioned earlier, this theory has also been used extensively in potography, so that many photographers will deliberately frame the photo so that objects such as focus are placed on these points. 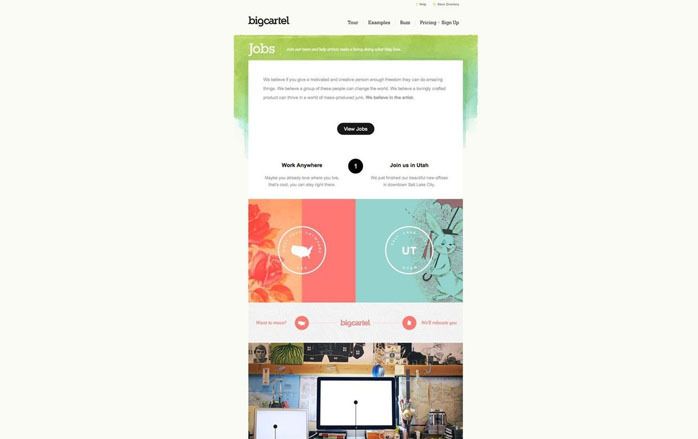 Believe that your new grid is a clean, organized, aesthetic design, but occasionally and deliberately breaking this grid will give this clean grid layout a unique, eye-catching effect. By breaking the grid, you can also focus on certain elements. Take a look at this website design. It aligns things neatly to the grid and with a few exceptions. By breaking some parts of the design out of the grid and breaking the vertical lines of the design, the eyes are attracted by these elements. Don’t be afraid that grids are not suitable for your design because all the grids are highly functional and flexible and can adapt to your changing designs. When creating a grid, you can select as many columns as possible, which is the flexibility of the grid. Look at the diagram below, which shows the difference between a column grid and two or three column grids. Of course, according to the needs of the designer and the design, the grid can usually reach 13 columns. 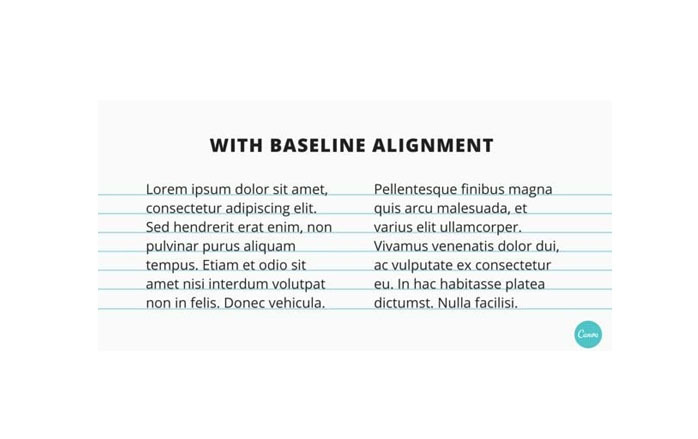 For example, the following extension uses a complete page image and very simple text to make a column grid system perfect for use. 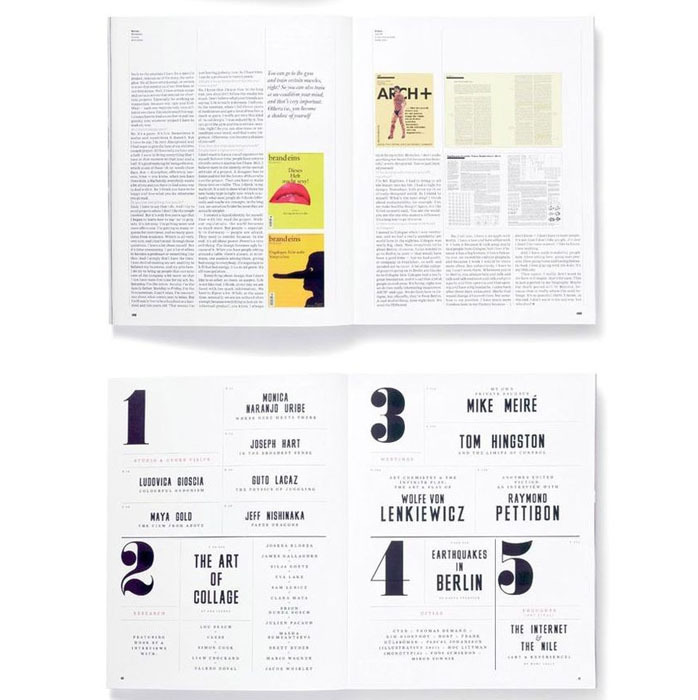 Given this layout design of “Design Surgical”, thirteen columns are used on each page because articles are generally long, and there are some pictures that need to be inserted at different points. Keep in mind when designing that the number of columns is entirely up to you, but the more you have, the more flexible your design is, and the less it is, the simpler and less flexible it is. If you want to approach your design from a different perspective (in a literal sense), the grid will overwrite it. The grid can act effectively on the diagonal as effectively as on the horizontal or vertical axis. 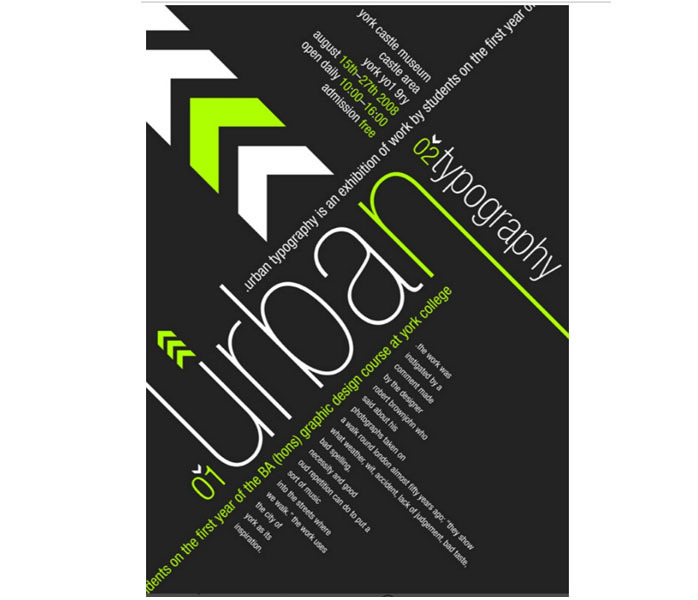 Take a look at this poster design to create a proper modern and stylish effect by placing text and graphics along a diagonal grid layout. Diagonal grids can also make a lot of image layout miracles. Take a look at this design and how it uses a diagonally constructed frame to mosaic the image. It is worth noting that this design obviously uses horizontal/vertical meshes and diagonal meshes to keep the layout perfectly aligned and tidy. 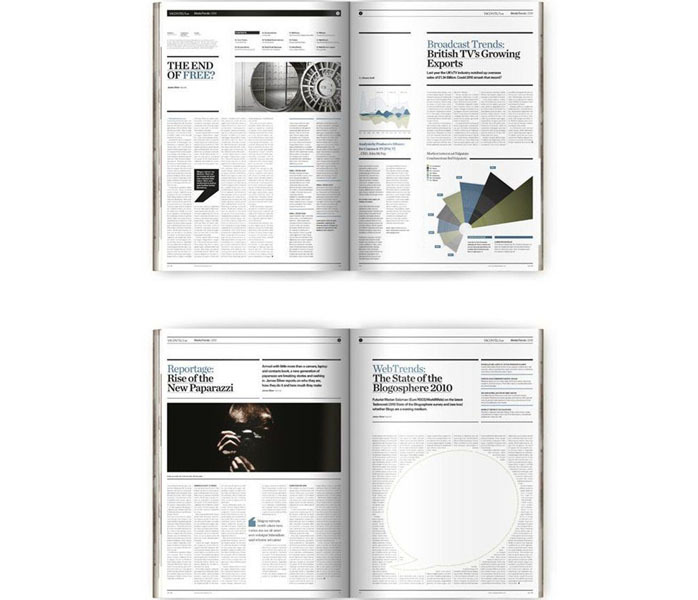 Although the grid is the most common example in magazines and editorial layouts, it is not the only medium that the grid can apply. In fact, they can be used for any design medium. Many well-known logos are built on grid systems, such as the logo below. As you can see, by using the grid to build the logo, each letter is consistent, clean and independent, resulting in an iconic logo. 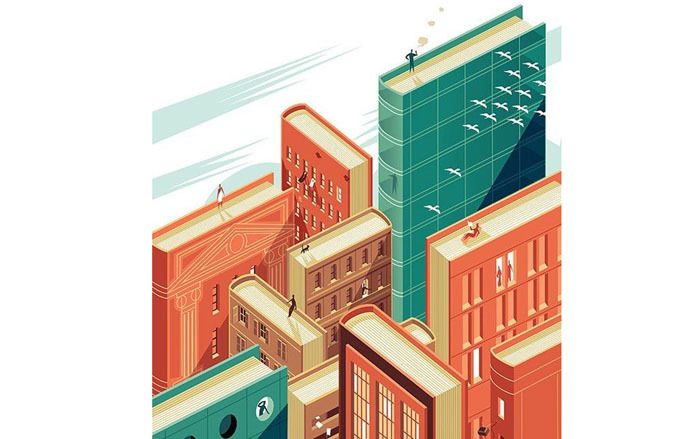 The grid can also be used throughout the illustration to see the illustrations of this stunning literary city and notice how clean and sharp each angle is, which shows that the illustration is a surface with a diagonal grid Created. So, no matter what your medium is, the grid is very convenient. Although they may not be suitable for each style and each design, they are certainly useful to many people, so consider that you apply grid design in the next project. Are you delving into designs that are too heavy in space? The grid can also help you. When you divide the design into the required number of columns, place the necessary elements, but leave some rows and columns empty, leaving the blanks filled. Looking at this layout, the area that the grid does not fill at all uses a lot of white space, which leads to a stylish, open and complex design, and a minimally functional layout with little clutter or unnecessary elements. 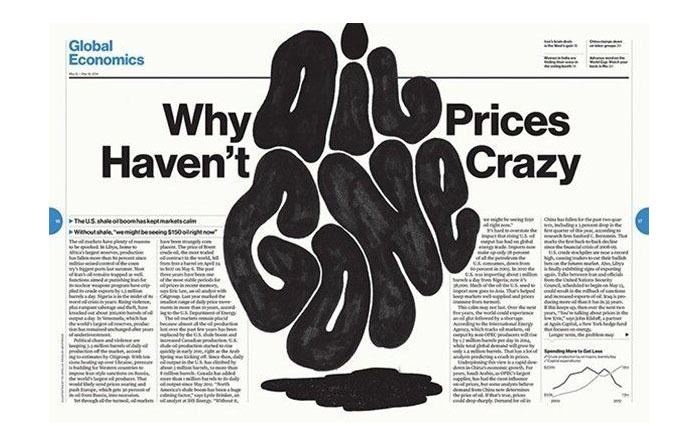 There are similar functions in this poster design. 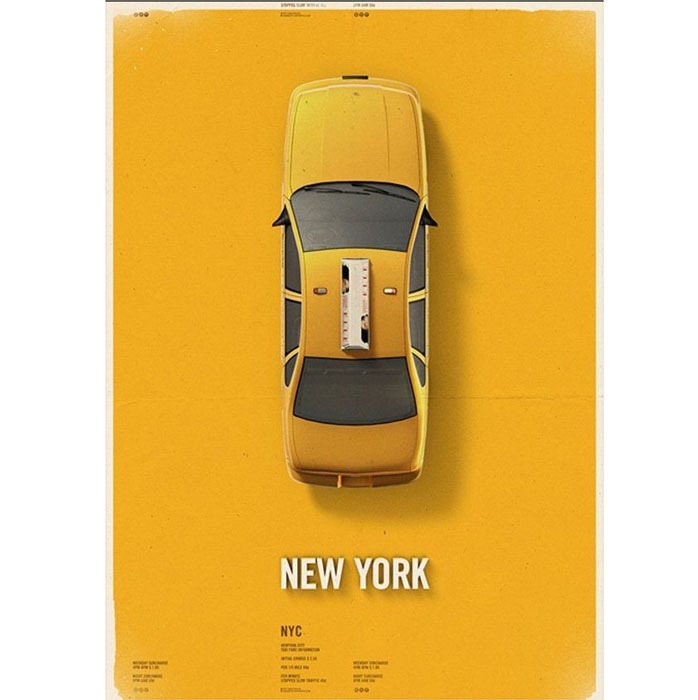 By aligning only text and images with the center column and leaving the outer columns blank, the designer created a beautiful, balanced, visually-impressive poster design. The grid can help you by encouraging easier reading of the layout. You see, the eyes are very picky about the length of the lines of text. If the lines are too long, it will become harder and harder. If the lines are too short, they will look too broken and let us immerse them. In general, the length of the gold line of text is a rough average of a minimum of six words per line, approximately 50-65 characters per line (including spaces). 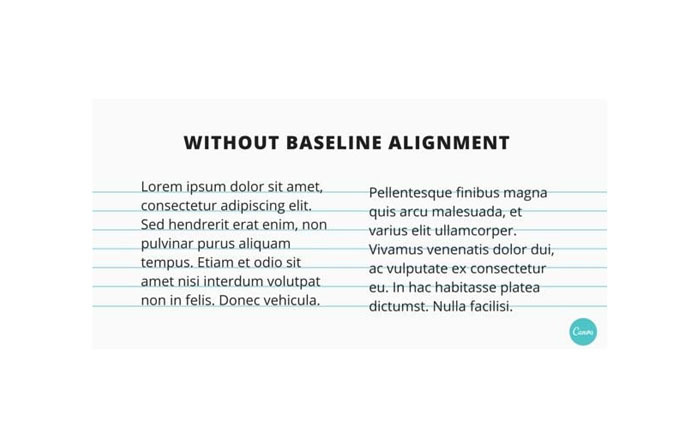 By using a grid on a text-heavy layout, even creating columns of text becomes easier and faster. And through the column, grasp the length of the text. This is one of the reasons why newspapers rely heavily on grid layout. It helps editors build faster, easier text fields and make their content more readable. 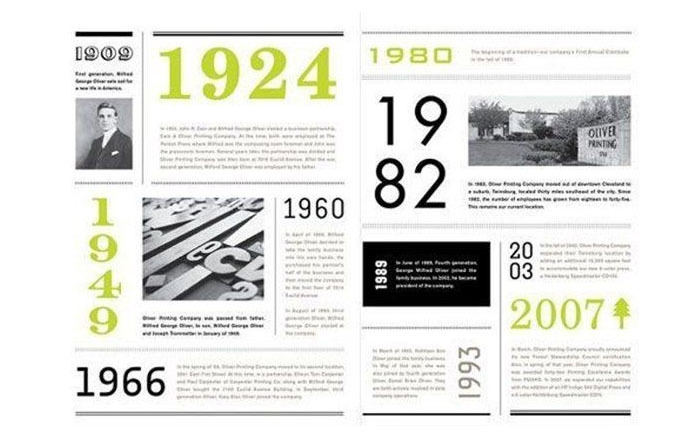 Regardless of whether you are good or bad at using grids, there is no doubt that they can really help you design so much that it is not surprising that the use of grids dates back to the 13th century. Grids have many uses, from helping to align and balance your designs, to helping you achieve cool effects with diagonal layouts. They are actually not just some lines on the page, but they are constructed, guided and shaped in a way that helps you achieve the desired end result.